Our natural massage oils are made with a harmonious blend of Sunflower, Apricot Kernel and Sweet Almond Oil. This exquisite formula allows hands to glide over the skin and achieve deep penetration. 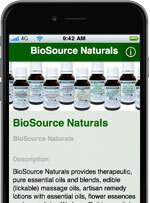 They contain therapeutic quality essential oils and premium grade fragrance oils where noted. Used as professional massage oils and between couples who desire a sweeter bonding experience. Aromatherapy massage oils can also be used as an after shower body oil or as a personal perfume. Moisturizing, nourishing with quick absorption. Does not leave skin feeling greasy or sticky. Our edible massage oils are made with plant oils that are FDA Generally Recognized As Safe – GRAS which are not meant to be ingested as food but are considered safe as lickable, kissable, massage oils. Properties: A sweet, scent that offers a “cherry” like top note with a smooth finish. Premium Grade Fragrance Oil. Our massage oils are created with a harmonious blend of Sunflower, Apricot Kernel and Sweet Almond Oil. This exquisite formula allows hands to glide over the skin and achieve deep penetration. Packaged: 8 fl. oz. (227 ml) amber plastic bottle with pump, safety shrink wrap. Free flip top cap available if requested. Properties: Cedarwood essential oil and amber oil. Dry/woody aroma, very subtle and noble with a hint of spice. Cedarwood has a spiritual, light, transcended note. Many people upon first smelling this oil think they are sampling a sophisticated blend of oils. Aromatherapy properties include warming, uplifting, and toning. Emotionally it is comforting, reviving, and confidence building. Grounding and inspiring at the same time. Avoid during pregnancy. Our massage oils are created with a harmonious blend of Sunflower, Apricot Kernel and Sweet Almond Oil. This exquisite formula allows hands to glide over the skin and achieve deep penetration. Properties: The ultimate indulgence, without the calories. Rich, creamy and sweet with plenty of cocoa. Contains a blend of Sunflower, Apricot Kernel and Sweet Almond Oil with premium grade fragrance oil. This exquisite formula allows hands to glide over the skin and achieve deep penetration. “Super fast shipping and wonderful product. I’m a Licensed Esthetician and found this product to be amazing to work with. Great slip, perfect scent and didn’t leave my clients feeling greasy.” P. S. K.
Properties: This massage oil uses a blend of therapeutic quality essential oils of energy balancing and calming oils of Lavender, Rose Geranium, Cedarwood and Lemongrass Oils. Our massage oils are created with a harmonious blend of Sunflower, Apricot Kernel and Sweet Almond Oil. This exquisite formula allows hands to glide over the skin and achieve deep penetration. The properties found within these oils condition and soften skin while providing minerals, vitamins and proteins. Properties: Contains a wonderful blend of Orange, Lemon, and Lime therapeutic quality essential oils. Our massage oils are created with a harmonious blend of Sunflower, Apricot Kernel and Sweet Almond Oil. This exquisite formula allows hands to glide over the skin and achieve deep penetration. Properties: Delicious strawberry flavor in a natural oil base containing Sunflower Oil, Apricot Kernel Oil and Sweet Almond Oil. This exquisite formula allows hands to glide over the skin and achieve deep penetration. “Excellent for massages. Nice smell also. Will be ordering more.” – S.L.L. Properties: Warm and mysterious with an oriental woodsy appeal and slight musk notes. Contains a harmonious blend of Sunflower, Apricot Kernel and Sweet Almond Oil with premium fragrance oil. This exquisite formula allows hands to glide over the skin and achieve deep penetration. Properties: Deep, musky scent with warm overtones of Amber resin and Myrrh beauty. Contains Sunflower, Apricot Kernel and Sweet Almond Oil with therapeutic quality essential oils of frankincense, myrrh and premium grade fragrance oils. This exquisite formula allows hands to glide over the skin and achieve deep penetration. “Wow, today is the first time I’ve used BioSource Frankincense-Myrrh Massage Oil on several clients and I love the feel and glide when working (and a wonderful but not overpowering aroma). And my clients love the viscosity of this oil on their skin. I would like to keep a gallon of this on hand! Great oil.” – J.W.S. Properties: Delicious French vanilla flavor in a natural oil base containing Sunflower, Apricot Kernel and Sweet Almond Oil. This exquisite formula allows hands to glide over the skin and achieve deep penetration. Properties: An exotic blend of Pineapple, Mango, Guava with soft Sandalwood notes, premium grade fragrance oils with a harmonious blend of Sunflower, Apricot Kernel and Sweet Almond Oil. This exquisite formula allows hands to glide over the skin and achieve deep penetration. Properties: Lovely scent of Jasmine with tops notes of fresh rose petals. therapeutic quality essential oils of Jasmine, Rose and premium fragrance oils. Our massage oils are created with a harmonious blend of Sunflower, Apricot Kernel and Sweet Almond Oil. This exquisite formula allows hands to glide over the skin and achieve deep penetration. “Great product, lasts for a long time.” – M.B. Properties: Relaxing, calming and balancing. Lavender is helpful for emotional issues of abandonment and feeling criticized. Contains Sunflower, Apricot Kernel and Sweet Almond Oil with therapeutic quality French Lavender essential oil. This exquisite formula allows hands to glide over the skin and achieve deep penetration. Properties: A natural oil base containing Sunflower Oil, Apricot Kernel Oil and Sweet Almond Oil with pure French Lavender essential oil and Vanilla Infusion 35 Fold. Calming and energy balancing with vanilla sweetness. This exquisite formula allows hands to glide over the skin and achieve deep penetration. The properties found within these oils condition and soften skin while providing minerals, vitamins and proteins. Properties: The scent of sun warmed Figs, Italian Bergamot and White Tea Leaves is entwined with notes of Jasmine, Sweet Heliotrope and Sandalwood enveloping the wearer in the warmth of the Woods. Our massage oils are created with a harmonious blend of Sunflower, Apricot Kernel and Sweet Almond Oil. This exquisite formula allows hands to glide over the skin and achieve deep penetration. Contains premium grade fragrance oils. Properties: This massage oil includes the following therapeutic quality essential oils, Patchouli, Olibanum, Pimento, and Citronella. The combination of these oils enhances the minds ability to meditate. Meditation can be used for personal development, improving mental abilities, increasing creativity and problem solving skill. It can increase motivation and confidence, and produce a deeper more restful sleep. Our massage oils are created with a harmonious blend of Sunflower, Apricot Kernel and Sweet Almond Oil. This exquisite formula allows hands to glide over the skin and achieve deep penetration.